Vase with figurines on it ....? 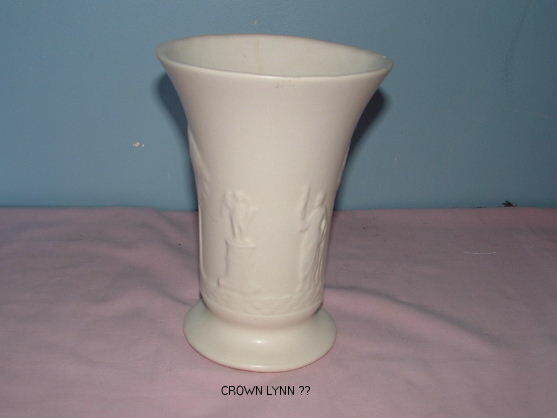 A friend of hon-john's would like to know if this is Crown Lynn or not. 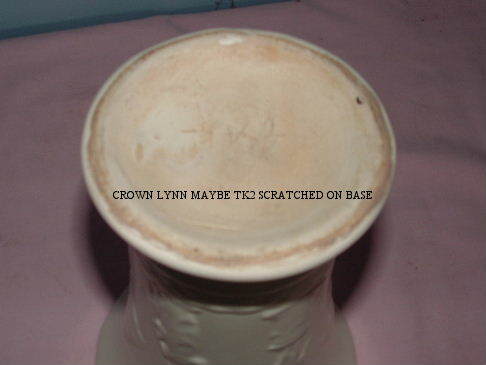 John said that the glaze looks and feels like Crown Lynn, but the base is rough and doesn't look like Crown Lynn. Any help would be appreciated. Re: Vase with figurines on it ....? dont know..almost has a titian look to it..